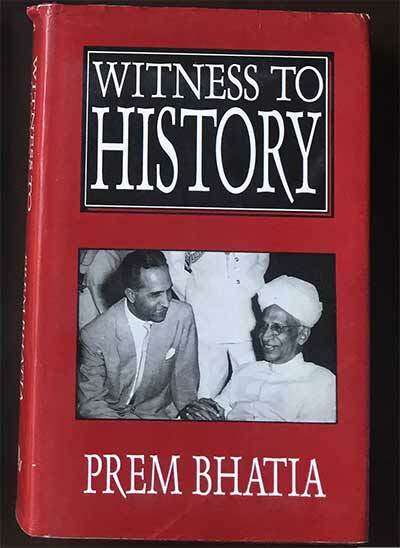 The Trust’s activities have included the publication of two books of Prem Bhatia’s writings: Witness to History and Reflections Along a Political Journey. 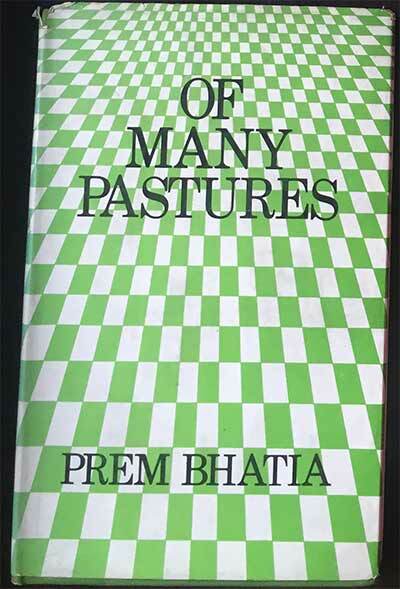 We have also published an anthology of essays in honour of Prem Bhatia, that deals with key issues confronting the media, entitled The Indian Media : Illusion, Delusion and Reality, edited by Asha Rani Mathur. 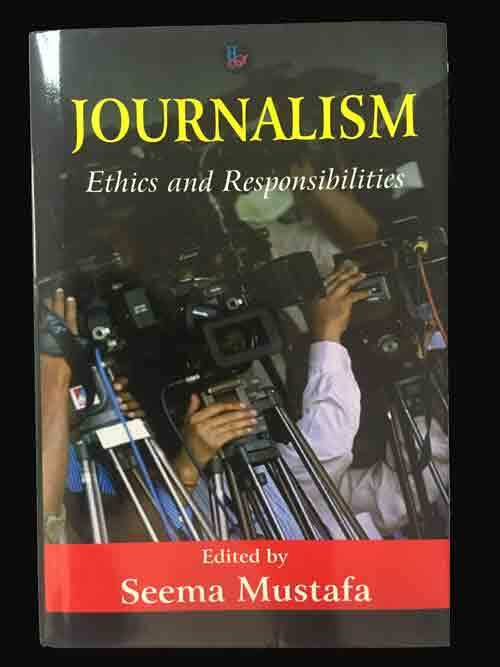 In 2013, an anthology on Journalism-Ethics and Responsibilities, was published, edited by Seema Mustafa. It is a matter of pride for us that this Trust seeks to improve professionalism in the world of the media, by encouraging impartial reporting and helping to raise levels of social and political awareness in all matters that concern us as citizens of a free and democratic country. 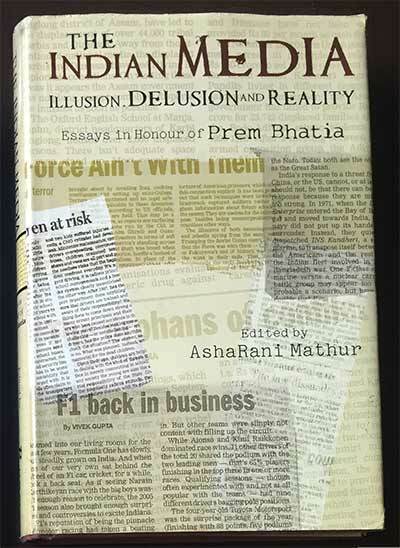 The Indian Media : Illusion, Delusion and Reality is a volume of essays to honour the memory of the late Prem Bhatia, an outstanding journalist who was widely admired for his intellectual integrity, courage and commitment to truth. 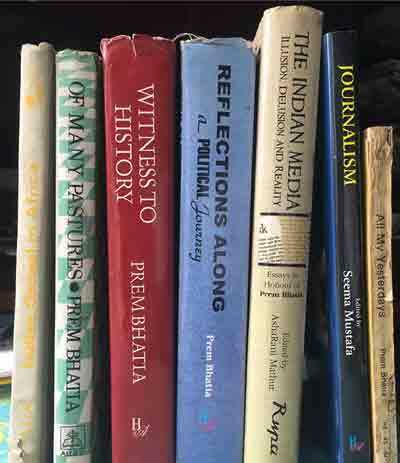 Beyond this purpose, the Book brings together journalists, media professionals, scholars and activists in a series of lively and candid articles that examine various aspects of the media. Today digital, print and television media have set a scorching growth rate; never before have we witnessed such an explosion regionally and nationally. But to what avail? In a society and economy buffeted by simultaneous forces of tradition and modernity, what role does the media play and how does it address the many issues that confront us daily? Has the media broadened its reach only to narrow its focus? These are a few of the larger questions this Book raises, and it does so through some of the most distinguished figures of our times. 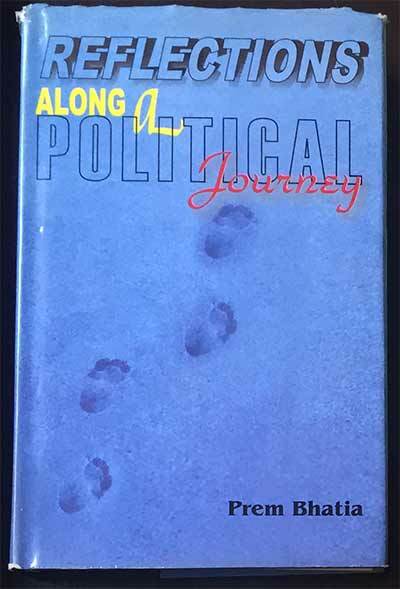 Veteran journalists and authors Ajit Bhattacharjea, Sir Mark Tully, Medha Patkar and Bittu Sahgal, award winning writers P. Sainath and Raj Chengappa, strategist K. Subrahmanyam: these are only some of the more than thirty contributors to this book. Between them they consider a gamut of the media, from politics and ideology to cartoons and sports, from development issues to the digital divide, from broadcasting to broadsheets. Critical and thought-provoking, the contents of this book will be of as much interest to a general readership as to the media watcher. In this book, Senior journalists and Eminent persons known for their professionalism and integrity examine the multi-dimensional role of the media, the problems and challenges it is facing, and through this introspection suggest solutions that could help restore credibility of the media. The Essays point toward the challenges of increasing corporatization that has turned journalism into a big industry with sensationalist paid news emerging as major problems.